The mighty and astute wolf. “The Old Soul is more inclined to be a lifelong learner, constantly feeding his thirst for insight through his own persistent efforts. His learning has not been forced into him through education or learned out of obligation, but has been absorbed out of curiosity and personal choice.” ~ Aletheia Luna. “It’s not uncommon for the Old Soul to experience some measure of depression, apathy or existential lethargy when it comes to living everyday life. After all, if physical existence loses its star-spangled gleam, and everyday affairs lose their burning importance, what is the point of living a dull life?” ~ Aletheia Luna; Australian spiritual writer, mystic and healer. We all are eternal underneath this physical existence, and we all carry the memories and hidden aspects of many lifetimes flowing through our Infinite Intelligence; therefore, we all carry impressions of the past, of this life and of others before this one. 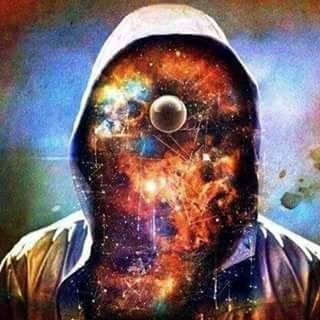 We are the energy inside the atoms which makes up everything we experience, and that is a spiritual as a scientific fact as well. Then we all have tendencies of freedom in our soul, and tendencies of mental elevation; however, most people have a greater influence of the world in their thoughts and behaviors–it could be genetics, it could be the influence of the people around them, etc. So, experiencing life and learning is different for all of us, but we all maintain the deep desire for free expression. Some signs you are an old soul: 1) You tend to be a solitary loner. 2) You love knowledge, wisdom and truth. 3) You’re spiritually inclined. 4) You understand the transience of life. 5) You’re thoughtful and introspective. 6) You see the bigger picture. 7) You were a strange, socially maladaptive kid. Old souls just feel more empathy, more intense intuition into what the world calls maturity, and they do not experience life the same as the rest of the people in the world. This is a reality, as I am myself an Old Soul, and I always have been different in many mental and emotional ways than the people around me, mostly my family. Old Souls tend to experience more intense emotions and lean towards more specific occupations which involve the further development of those emotions in their lives–like spiritual teachers, artists, craftsmen, motivational and inspirational writers, life coaches, social work, etc.